Pretear [TV] drakadark gave it a 10. A high school girl named Himeno Awayuki is attempting to adjust to her new life after her widowed father remarries wealthy widow Natsue. While taking a short cut to school, Himeno jumps out of a bush and lands on Hayate, the Knight of Wind. 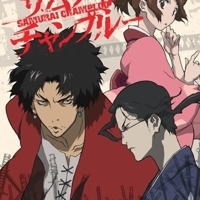 Samurai Champloo [TV] drakadark gave it a 10. 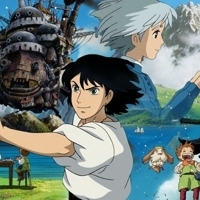 Howl's Moving Castle [Movie] drakadark gave it a 10. 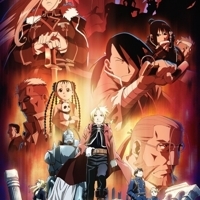 Fullmetal Alchemist: Brotherhood [TV] drakadark gave it a 10. 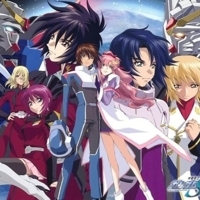 Gundam SEED [TV] drakadark gave it a 10. 12 Kingdoms [TV] drakadark gave it a 10. 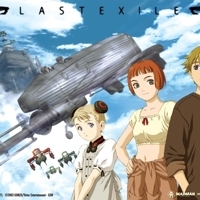 Last EXILE [TV] drakadark gave it a 10. Scrapped Princess [TV] drakadark gave it a 10. 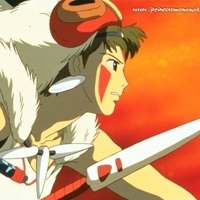 Princess Mononoke [Movie] drakadark gave it a 10. Hellsing Ultimate [OVA] drakadark gave it a 10. Shinshoku Kiss [Manga] drakadark gave it a 10. Dragon Knights [Manga] drakadark gave it a 10. 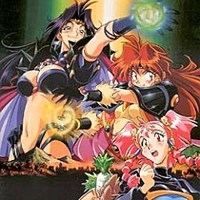 The Slayers: Evolution-R [TV] drakadark gave it a 10. 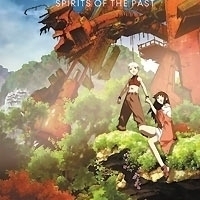 To find a way in rescuing Pokota's country Taforashia which was sealed by Rezo, Lina and her group are in search for the Hellmaster's jar in what the Red Priest placed his soul after death. Zelgadis is willing to do anything to get the jar for changing back into a human while Zuuma is plotting on revenge and accomplishing assignment in killing Lina Inverse. 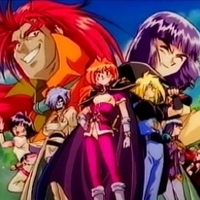 Slayers Revolution [TV] drakadark gave it a 10. 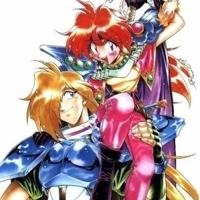 Having lost the Sword of Light in the previous battle, Lina and Gourry continue their journey in search of a replacement weapon. On the way, the two of them meet up with Amelia and Zelgadis in the kingdom of Luvinagard while taunting some pirates. 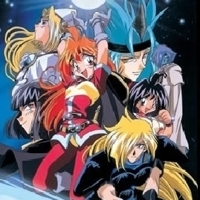 Slayers Great [Movie] drakadark gave it a 10. 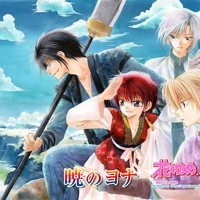 Akatsuki no Yona [Manga] drakadark gave it a 10.
ona is the sole princess of the kingdom, living the luxurious and carefree life as a princess should. She has it all: the finest clothes and cosmetics, the most divine sweets, a loving emperor as a father, and the hottest cousin crush, Soo-wong, anyone could ever hope to have. 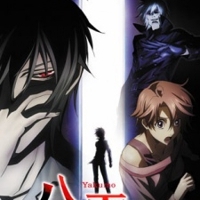 Shinrei Tantei Yakumo [TV] drakadark gave it a 10. Yakumo Saitou, a reserved College student, was born with a red left eye. This eye, which he usually hides behind a contact lens, gives him the ability to see ghosts and spirits and has brought him many hardships throughout his life. K [TV] drakadark gave it a 10. Ashinaka High School is known for its unique setting: the entire campus is built on an island. Yashiro Isana, aka Shiro, is having lunch with a cat on one of the school rooftops. 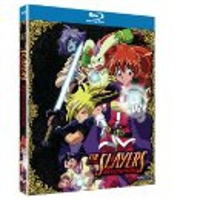 Slayers: The Motion Picture [Movie] drakadark gave it a 10. Enveloped in mists, the island of Mipross has been shrouded in mystery since the dawn of time! Now, two mighty sorceresses will attempt to pierce the veil of secrecy and silence that has hidden the horrible truth about Mipross from the eyes of men for hundreds of years! 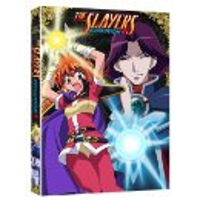 Slayers [TV] drakadark gave it a 10. 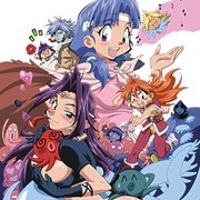 Slayers Try [TV] drakadark gave it a 10. 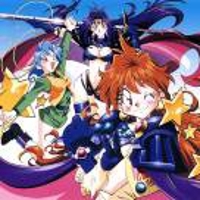 Slayers Next [TV] drakadark gave it a 10. 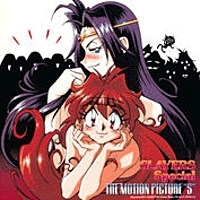 Slayers - Book of Spells [OVA] drakadark gave it a 10. In these three self-contained half-hour stories, Lina Inverse and her partner, Naga The Serpent, take on a variety of jobs for quick cash, food, and/or their own skins. 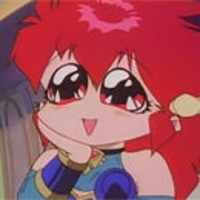 The first episode, "The Scary Chimera Plan," pits them against a lunatic magician who intends to use Lina to create a fearsome, spell-slinging monster. 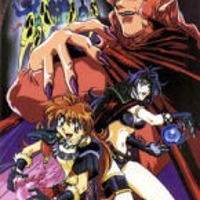 Slayers Return [Movie] drakadark gave it a 10. 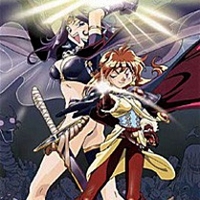 Slayers: Gorgeous [Movie] drakadark gave it a 10. Sorceresses Lina Inverse and Naga the Serpent are enjoying a meal in a villiage when the residents suddenly retreat indoors and two armies - one of men and one of a young girl and a tribe of dragons. 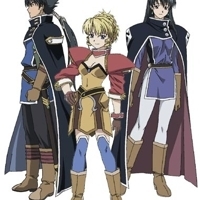 Although the ruler of the town originally tries to convince Lina that this is because of a dark legacy, in truth the dragon army is led by his daughter and their battles are over her allowance. Slayers Premium [Movie] drakadark gave it a 10. Lina and Gourry travel to a seaside town named Acassi, where octopus tentacle is a delicacy. However, the octopus meat carries a curse that dooms the eater to only speak Takogo (octopus language). Fairy Tail [TV] drakadark gave it a 10. 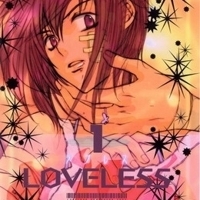 Loveless [Manga] drakadark gave it a 10. 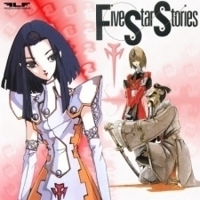 Five Star Stories [Movie] drakadark gave it a 10. 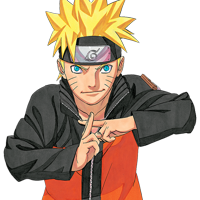 Amaterasu is the god of light, the future emperor of the Joker Star System. Under the guise of young mecha conceptor Ladios Sopp, he is compelled by an old friend, Dr Ballanche, to save his two latest Fatimas Lachesis and Clotho. 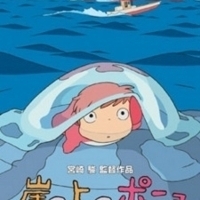 Ponyo [Movie] drakadark gave it a 10. 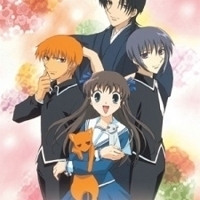 Fruits Basket [TV] drakadark gave it a 10. 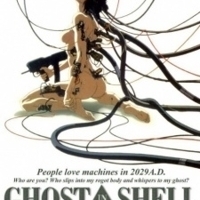 Ghost in the Shell [Movie] drakadark gave it a 10. 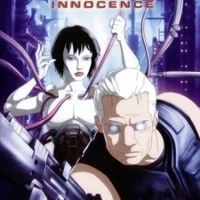 Ghost in the Shell 2: Innocence [Movie] drakadark gave it a 10. 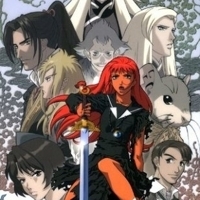 Gin'iro no Kami no Agito [Movie] drakadark gave it a 10. 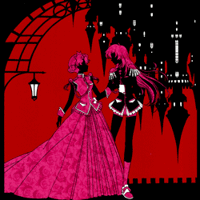 Revolutionary Girl Utena [TV] drakadark gave it a 10. 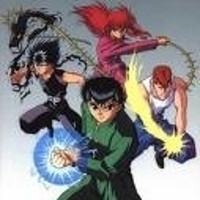 Yu Yu Hakusho [TV] drakadark gave it a 10. 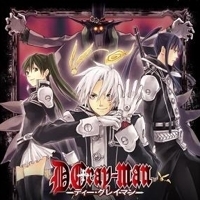 D.Gray-Man [TV] drakadark gave it a 10. 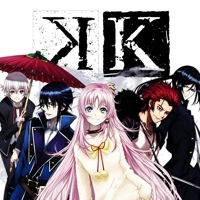 K : Anime [TV] drakadark gave it a 10. O colégio Ashinaka é conhecido por sua atmosfera única: o campus foi construído em uma ilha. Yashiro Isana, também conhecido como Shiro, está almoçando com um gato em um dos telhados da escola. 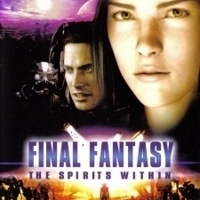 Final Fantasy: The Spirits Within [Movie] drakadark gave it a 10. A planet is overrun by a mysterious group of creatures that infect and destroy all life on Earth. Only the determination of a single woman to find a cure will prevent the world from slowly being eaten away. 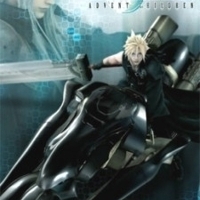 Final Fantasy VII - Advent Children [Movie] drakadark gave it a 10. 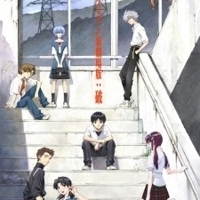 Evangelion: 2.0 You Can (Not) Advance [Movie] drakadark gave it a 10. 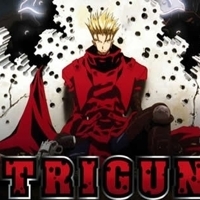 Trigun [TV] drakadark gave it a 10. XXXHOLiC [TV] drakadark gave it a 10. 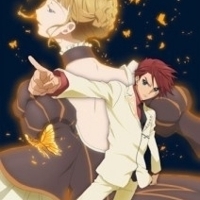 Umineko no Naku Koro ni [TV] drakadark gave it a 10. 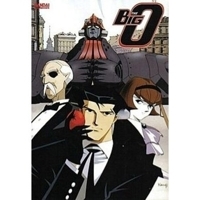 The Big O [TV] drakadark gave it a 10. 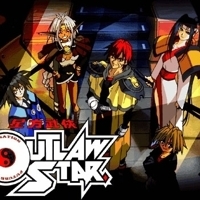 Outlaw Star [TV] drakadark gave it a 10. 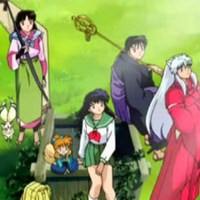 InuYasha: The Final Act [TV] drakadark gave it a 10. 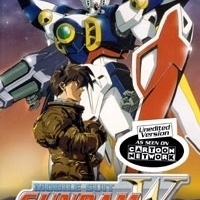 Gundam Wing [TV] drakadark gave it a 10. 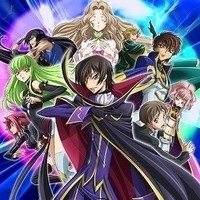 Code Geass: Lelouch of the Rebellion [TV] drakadark gave it a 10. 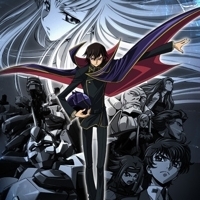 Code Geass: Lelouch of the Rebellion R2 [TV] drakadark gave it a 10. 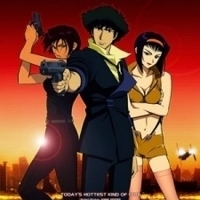 Cowboy Bebop - Knockin' on Heaven's Door [Movie] drakadark gave it a 10. 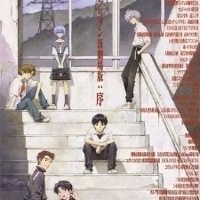 Evangelion: 1.0 You Are (Not) Alone [Movie] drakadark gave it a 10. 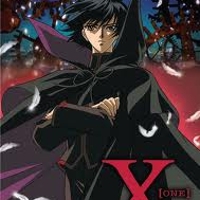 X [TV] drakadark gave it a 10. 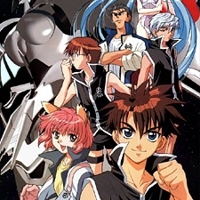 In 1999, a teenager named Kamui Shir? returns to Tokyo after a six-year absence. 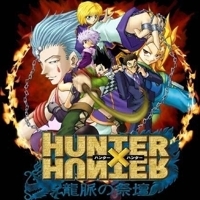 Hunter X Hunter (TV 2011) [TV] drakadark gave it a 10. Night Walker [TV] drakadark gave it a 10. In the world of Nightwalker, attacks by the nightbreed (?? 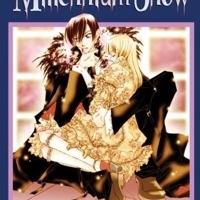 Mellenium Snow [Manga] drakadark gave it a 10. Millennium Snow focuses on Chiyuki Matsuoka, a high school girl hospitalized with a heart problem. Since birth her heart has been very weak and she was told that she would probably live to be only fifteen. Blood The Last Vampire [Movie] drakadark gave it a 10. In the time of the Vietnam War, an American military base in Japan is plagued with a rash of killings whose assailant is unknown. 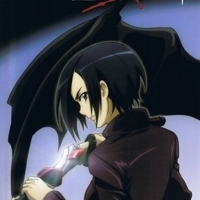 Enter Saya, a mysterious young woman who happens to be the last of the vampire race, and has been charged by her government agency employer to investigate the sinister killings. 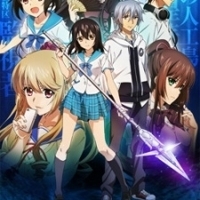 Strike the Blood [TV] drakadark gave it a 10. The Fourth Primogenitor—That's the world's strongest vampire that should only exist in legends. Accompanied by twelve Kenjuu and spreading calamity, this phantom vampire appeared in Japan. 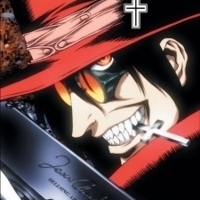 Hellsing [Manga] drakadark gave it a 10. Descendants of Darkness [TV] drakadark gave it a 10. Asato Tsuzuki is a shinigami with 70 years' worth of experience. He has the power to call upon twelve shikigami, mythical creatures that aid him in battle. 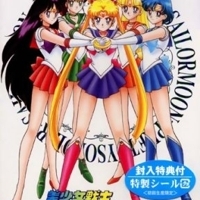 Crescent Moon [Manga] drakadark gave it a 10. 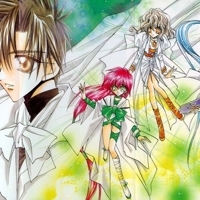 After Mahiru has a haunting recurring dream, she meets the Lunar Race, which consists of the vampire Nozomu, the werewolf Akira, the fox Misoka, and the tengu Mitsuru. They need her help to recover the 'Teardrops of the Moon,' the recently-pilfered source of their power. 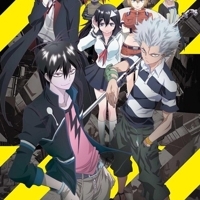 Blood Lad [TV] drakadark gave it a 10. 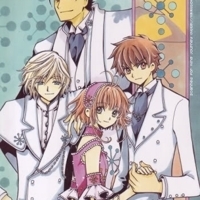 Captive Hearts [Manga] drakadark gave it a 10. The Kuroishi and Kogami families have a strange bond: for 100 generations, the Kuroishi clan is compelled to serve the Kogami clan, with mind, body and soul. Fourteen years ago, the entire Kogami family disappeared. 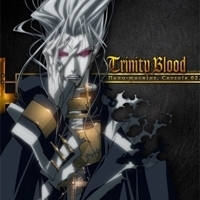 Trinity Blood [TV] drakadark gave it a 10. 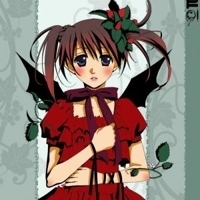 Vampire Game [Manga] drakadark gave it a 10. Centuries ago in an epic battle, King Phelios defeated the Vampire-King Duzell. Using a powerful spell Phelios destroyed Duzell but he perished as a sacrifice for using such a strong spell. 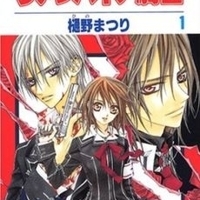 Vampire Knight [Manga] drakadark gave it a 10. 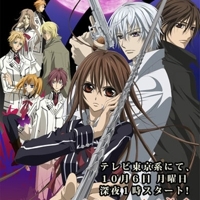 Vampire Knight [TV] drakadark gave it a 10. 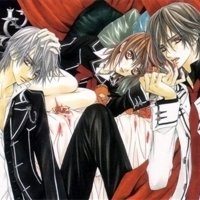 Vampire Knight Guilty [TV] drakadark gave it a 10. Hunter X Hunter [TV] drakadark gave it a 10. 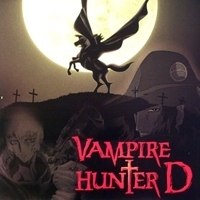 Vampire Hunter D: Bloodlust [Movie] drakadark gave it a 10. 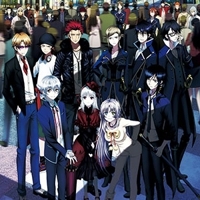 Based on the novel, "D - Demon Deathchase", by Hideyuki Kikuchi. 2000. 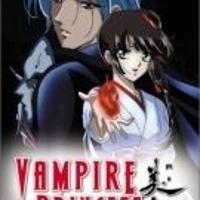 Vampire Princess Miyu [TV] drakadark gave it a 10. Evil Shinma - shape-shifting monsters and vampires - roam the Earth on a mission to unleash their darkness upon the Human race. 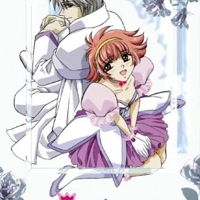 Miyu Royal Princess from the dark is the Chosen One - The one being who must banish the Evil Shinma from the Earth. Nightwalker: The Midnight Detective [TV] drakadark gave it a 10. 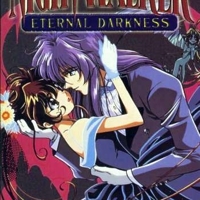 Nightwalker incorporates elements of the horror, detective story and vampire genres, and is critically noted as a vampire story "with a bit of a twist".The main character is Shido, a vampire who protects humans from other supernatural creatures. Chonnyonyeouu Yeouubi [Movie] drakadark gave it a 10. 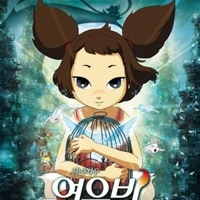 Teacher Kang takes his students to a school that sits at the base of a hill where Yobi lives, a five tailed fox who can turn into any form. Kang and his students are there to train at a special center for honing their mental abilities. Samurai Deeper Kyo [TV] drakadark gave it a 10. During the epic battle of Sekigahara, two samurai face off outside of history. The heated duel between Kyoshiro and Demon Eyes Kyo is interrupted when a falling star slams into the plains shattering the ground and engulfing both of them. Samurai Deeper Kyo [Manga] drakadark gave it a 10. 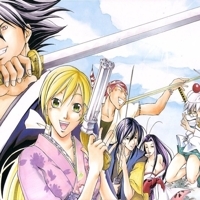 Set in Tokugawa Japan, this manga begins by following Shiina Yuya, a bounty hunter searching for her brother's murderer. However, Yuya quickly meets a medicine peddler named Mibu Kyoshiro, who turns out to be sharing a body with the feared samurai Demon Eyes Kyo. 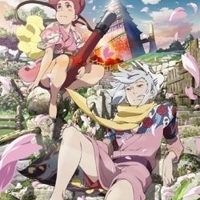 Fuse: Teppou Musume No Torimonochou [Movie] drakadark gave it a 10. 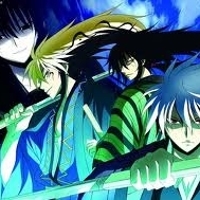 In Kyokutei Bakin's classic Japanese epic novel Nansou Satomi Hakkenden, eight samurai serve the Satomi clan during Japan's tumultuous Sengoku (Warring States) era. The Edo-era samurai are the reincarnations of the spirits that Princess Fuse mothered with a dog named Yatsufusa. 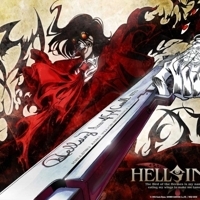 Hellsing [TV] drakadark gave it a 10. 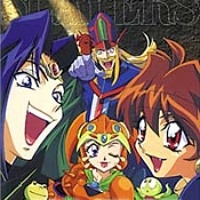 Slayers - Excellent [OVA] drakadark gave it a 10. In these earlier adventures of Lina Inverse and Naga the Serpent, learn how the two rivals first met. 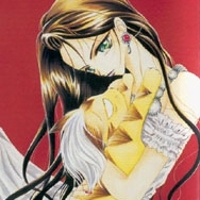 In their first adventure, the two rivals meet and run into a vampire during a rescue mission. Blood Lab [TV] drakadark gave it a 10. 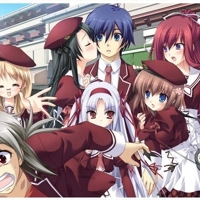 Ani.me's official listing has the Blood Lab storyline, reviews, and Blood Lab pictures that you need. 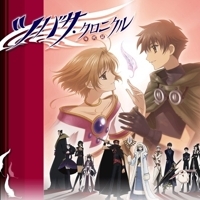 Tsubasa Chronicles [TV] drakadark gave it a 10. 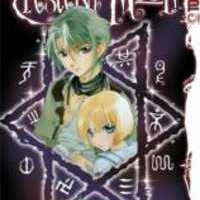 Tsubasa Chronicles [Manga] drakadark gave it a 10. 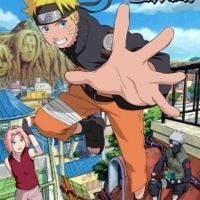 Naruto Shippuden [TV] drakadark gave it a 10. 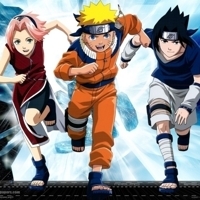 Naruto [TV] drakadark gave it a 10. Naruto [Manga] drakadark gave it a 10. Bleach [TV] drakadark gave it a 10. 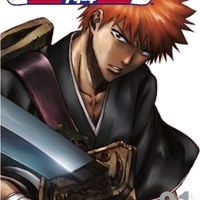 Bleach [Manga] drakadark gave it a 10. 11 Eyes [TV] drakadark gave it a 10. Seven years ago, Kakeru’s sister killed herself, leaving him alone. 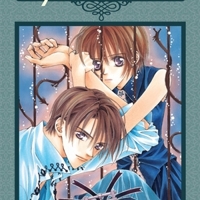 Now a teenager, Kakeru lives a quiet life with his friend Yuka and other classmates – but things change forever when he and Yuka are mysteriously transported to a frightening parallel world filled with monsters and a deep crimson sky. 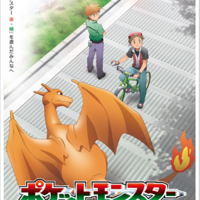 Pokemon The Origin [TV] drakadark gave it a 10. 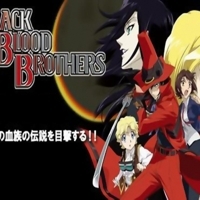 Black Blood Brothers [TV] drakadark gave it a 10. 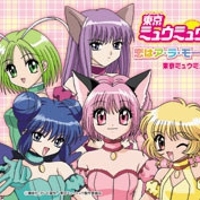 Tokyo Mew Mew [TV] drakadark gave it a 10. 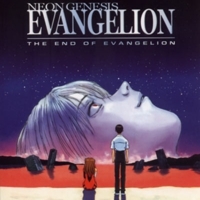 The End of Evangelion [Movie] drakadark gave it a 10. The End of Evangelion (?? 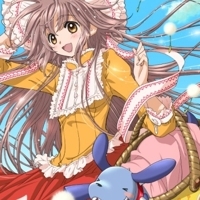 Tsubasa Chronicle: Tori Kago no Kuni no Himegimi [Movie] drakadark gave it a 10. 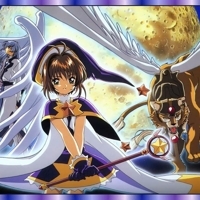 Card Captors [TV] drakadark gave it a 10. 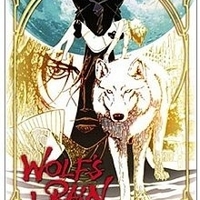 Wolf's Rain [TV] drakadark gave it a 10. Blood+ [TV] drakadark gave it a 10. 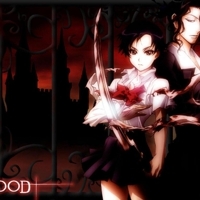 Blood +/Blood Plus [TV] drakadark gave it a 10. 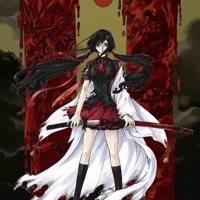 Blood-C [TV] drakadark gave it a 10. 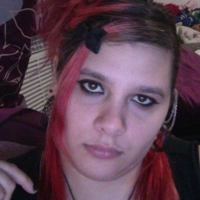 Candidate for Goddess [TV] drakadark gave it a 10. In the future humankind has expanded and colonized other planets. Then an alien species, Victim, attacks the human colonies leaving only one planet, Zion. 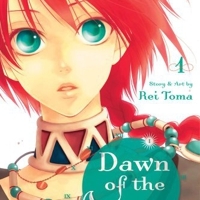 Dawn of the Arcana [Manga] drakadark gave it a 10. Sharing a single island, the countries of Senan and Belquat have been enemies forever. At times their bouts of war are briefly stilled by a royal marriage between princes and princesses of each land. 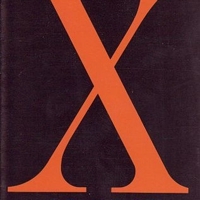 X [Manga] drakadark gave it a 10. In the year 1999, the Dragons of Heaven and Earth will gather in Tokyo for the final battle for humanity's future. The Earth's future is placed into the hands of a youth named "Kamui" whom will make a preordained choice: to become a Dragon of Earth and preserve the planet by ending human life, or become a Dragon of Heaven and protect humanity from ruin. Kobato. [TV] drakadark gave it a 10. 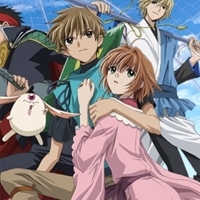 Nurarihyon no Mago Sennen Makyou [TV] drakadark gave it a 10. 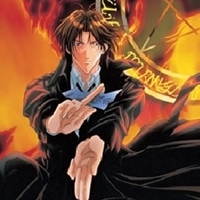 Grandchild of Nurarihyon, Grandchild of Nurarihyon 2, Nura: Rise of the Yokai Clan, Nura: Rise of the Yokai Clan - Demon Capital, Nurarihyon no Mago – Sennen Makyou, Nurarihyon no Mago 2, Nurarihyon no Mago OVA, Nurarihyon no Mago: Sennen Makyou, The Grandson of Nurarihyon, The Grandson of Nurarihyon 2, ?? Dragon Half [TV] drakadark gave it a 10. Meet Mink, the hyper fire-haired teenage daughter of the world's greatest dragon slayer..
Kyoukai no Kanata [TV] drakadark gave it a 10. 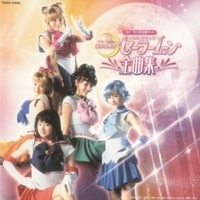 Sailor Moon [TV] drakadark gave it a 9. 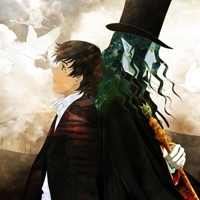 Gankutsuou [TV] drakadark gave it a 8. 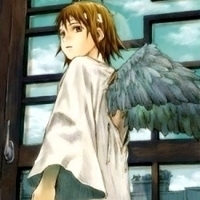 Haibane Renmei [TV] drakadark gave it a 6. 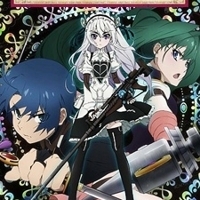 Hitsugi no Chaika [TV] In Progress - 4 completed. Toru Acura is a 20-year-old retired soldier meandering through life post-war. 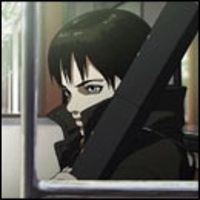 He encounters Chaika Trabant, a 14-year-old sorceress carrying a coffin, and follows her in hopes of finding some semblance of meaning in his life again.